Ahead of his UFC return due on December 29th, 2018, former light heavyweight champion, Jon Jones, has asked the Twitter community for suggestions on his walkout song. The ex-champion is scheduled to face Alexander Gustafsson in a much-awaited rematch, and the pair is expected to lock horns at The Forum, in Inglewood, California, for the UFC 232 main event championship fight. Leading up to his vacant light heavyweight title contest slated for the end of the year, former UFC champion Jon Jones tested positive, yet again, for a trace amount of Chlorodehydromethyltestosterone (DHCMT), or Turinabol. 'Bones' last competed in the Octagon at UFC 214, when he squared off against Daniel Cormier for the light heavyweight championship belt, on the main event fight card. 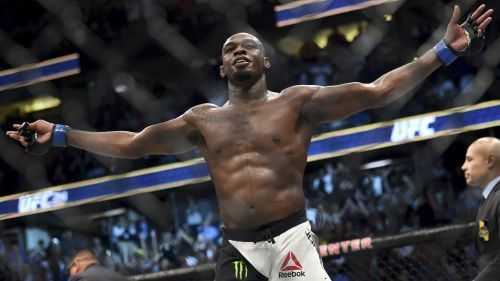 Soon after the fight, Jones went on to test positive for an anabolic steroid, Turinabol, a performance enhancement substance rendered illegal by the United States Anti-Doping Agency. Following the incident, Jones faced a 15-month suspension and was cleared on October 28th, 2018, to make a return to the Octagon. As a result of his recent drug test findings, the UFC was pushed to move the UFC 232 event to the state of California, after the Nevada State Athletic Commission denied Jones his fighting license. On September 21st, 2013, Jon Jones took on Alexander Gustafsson in a fight that went on to make it into the UFC's history books. Jones went on to retain his light heavyweight belt against Gustafsson after what was arguably his toughest fight inside the Octagon. Ahead of his rematch with 'The Mauler,' this December 29th, Jones decided to invite fans to the party by asking for suggestions for his UFC 232 walkout theme, to which the former champion received a thread of sarcastic replies. UFC 232 will be shifting base to The Forum, in Inglewood, California, as a result of Jones's recent drug test results. Daniel Cormier will be stripped of his light heavyweight title, leaving the belt vacant, and up for grabs for both Jon Jones and Alexander Gustafsson, come this December 29th. Nearly a year and a half after his initial suspension from the sport, Jones will be looking to dominate from the word go, in his highly-anticipated rematch against 'The Mauler,' Gustafsson. Fight fans around the world can be sure to expect a monumental fight between the pair, by the end of which the UFC will be ready to welcome its new 205-pound division champion. Who do you think will walk out of The Forum with the belt strapped around their waist? Jones? Gustafsson? Leave us with your predictions in the comments section below!